My fondest memories as a rugby league fan lie in the late 1980s, when I could take a 15-minute stroll on a Sunday afternoon down to Leichhardt Oval and watch my beloved Tigers in the Winfield Cup. On the way to the ground I would be offered a dodgy hot dog by a large man with sauce stains on his apron. I could buy a pie, sausage roll or a bucket of chips at the canteen located on the end of the ‘Latchem’ Robinson stand after I entered the old gates. Depending on how I was feeling after the night before, the choice of beverage was a Tooheys draught or an instant coffee courtesy of the Nescafé Blend 43 catering size tin. Only the Roosters offered lattes in those days. A couple of times I won the first try-scorer double on the main game and got to collect my winnings behind the grandstand at full time. These were great times that were repeated for 11 home games a season. In 1988, a season when Balmain made the grand final, the average attendance at Leichhardt was just over 9000. Fast forward to 2019 and Balmain have disappeared at the NRL level along with oversized shoulder pads, tight shorts and electrical tape around the head. The Wests Tigers have been performing a balancing act with home grounds since they entered the competition in 2000. The number of matches played at the ‘spiritual homes’ of Campbelltown and Leichhardt have reduced over time. Financial and logistical priorities have led club management to secure additional match venues. One of those venues, the shiny new Western Sydney Stadium (Bankwest) – where the Tigers will play Parramatta next week, in addition to four home matches – was the subject of an article in the Fairfax press with quotes from acting Wests Tigers chief executive Simon Cook. Cook appeared miffed by Parramatta promoting the Bankwest Stadium as theirs with the “we’re coming home” tagline. 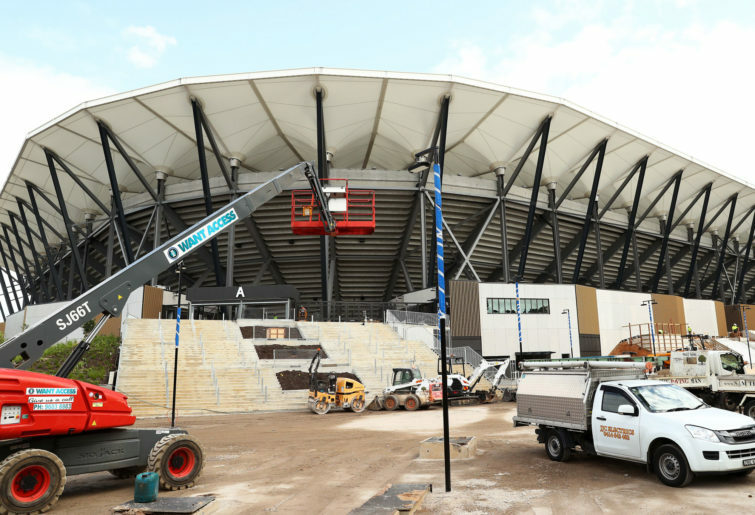 “The last time I checked the stadium was built by the state government for the people of western Sydney, including their teams the Wests Tigers, Bulldogs, Western Sydney Wanderers … and Parra,” Cook was quoted as saying. To be fair it has been built on the same site that the Eels have held as their home ground since 1947 so to say that they are “coming home” as a marketing message makes sense. It is hard to see what the fuss is about with home grounds in 2019. We are talking about a stadium that will eventually be used by multiple clubs and codes. The rival AFL moved away from home grounds for Melbourne clubs a number of years ago. The Tigers will utilise five venues this season, if you include Magic Round at Suncorp. It is slightly more than the Dragons, Bulldogs and Roosters, with four home grounds each. The Tigers will play three games each at Campbelltown and Leichhardt, four at Bankwest Stadium, one at Scully Park in Tamworth after a successful fixture last year, and Suncorp. The club have often been criticised for being homeless and without a geographic base. Despite these apparent ‘disadvantages’ they are in a better off-field position than ever before. Last year, in another season where five different venues were used for home matches, the club announced they had achieved record memberships, an average of home attendance of over 17,000 and a financial profit for the first time. There are up to 16 membership options for 2019, which include single venues and various combinations. The club is providing home-match choices for a wide geographic supporter base and it is working. It makes sense to play games at Bankwest Stadium, in what may just be best rugby league venue in Sydney. The appeal of a state-of-the-art ground for sponsors and fans will likely see revenue continue to rise. In the same way, it made sense for the Wests Tigers to play home matches at Olympic Park in Homebush. While it has been acknowledged as not the best place to watch club rugby league, the financial numbers stacked up. At one time the stadium management actually paid the club to hold their most attractive matches at the venue. The Tigers have a home base. They train at Concord Oval, where they are still optimistic of building a centre of excellence, so they stay up to date with modern training facilities. Hopefully there will always a nod to the club’s joint partner history by playing some games at Leichhardt and Campbelltown. A chance for old fans to wallow in the nostalgia. Suburban grounds should always hold a place in the NRL. If the club makes sound decisions around multiple venues then so be it. It provides options for Sydney and country fans to see their favourite team. The priority must be financial stability and a future. One home ground would be limiting. Now if they achieve the same level of success on the field and make the finals for the first time since 2011, the home crowd will erupt wherever they may be seated.